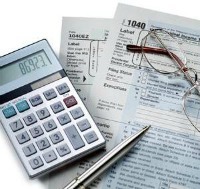 Student tax returns are typically easy to file. Many students have uncomplicated assets, live with parents or in an apartment, and don't generally need to itemize. So just head on down to the nearest tax preparer and leave in 20 minutes, right? NO!! At the time of writing this (2011), there are a ton of tax credits and deductions that people don't take 15 minutes to learn about when filing their student tax returns -- sometimes missing out on literally thousands of dollars! Contrary to popular belief, you DO NOT need to "pay in" to get a tax return. Some students make out at tax season with a ton of money, and they didn't even hold a job. Who Should Do Your Student Tax Returns? You have 3 critical choices here. You can have a friend, parent or peer student do your taxes, the trusted local tax preparer, or you can do them yourself. Having a friend, parent, or peer student do your taxes for you is probably the riskiest thing you can do. While they might have good intentions, and spend hours doing your return, they can easily miss valuable tax credits, or even worse apply for some you don't qualify for...landing YOU in some serious trouble with the IRS. The local tax preparer is a bit safer, but here is a secret: most of the time, tax preparers don't give a **** if you get the most out of your tax return. If you're lucky, and the tax preparer is good at his/her job, then you might get everything that is coming to you. As an added benefit, having a professional do your taxes for you will clear you of future IRS issues. When a Tax Deduction is given, what you OWE to the IRS is lessened. This means that if you end up owing money to the IRS at the end of the year (not likely for most students), then whatever deductions you have will lessen that amounts. However, you will not receive any refund based on tax deductions. Say you owe $500 to the IRS, but you have $600 in tax deductions, you will NOT receive a check for $100. When a Tax Credit is given, not only will it lessen what you owe to the IRS, but any money left over is refunded to you. A combination of tax deductions and credits may actually pay you more in tax returns than you actually earned all year long! Obviously this depends on what you qualify for. Earned Income Credit (EIC) - The EIC can be an enormous money maker at tax season for some, and a little piddly check for others. The EIC is basically for people who didn't earn squat for wages the preceding year. Varying qualifiers are determined by the IRS to see if you qualify for a EIC. For students filing in 2012, the minimum EIC is $464, while the maximum EIC is $5,751. The EIC may make the largest different in your student tax returns. This IRS Webpage shows the different qualifiers, check it out ahead of time to see what's coming to you. American Opportunity Credit -The American Opportunity Credit is a credit that most students will qualify for. Those who qualify for this credit are eligible for $2,500 per student. Credits with slightly different qualifiers include the Hope Credit as well the Lifetime Learning Tax Credit. Higher Education Deductions - In short, these deductions take away what you paid for in books, tuition, student loan payments, and other college related expenses. If you didn't make any wages throughout the year however, this would be pointless to fill out as it is a deduction and not a credit. Child Tax Credit - Having children makes a huge difference in tax returns. The Child Tax Credit is simple, you get $1,000 for a child, and each additional child has a diminishing tax return value. Having children also has a substantial effect on the EIC as well. Housing Deductions - If you're paying your own rent, or sharing rent with a roommate, there is a section for this. Rental submissions are deductions, not credits. You will not receive the amount deducted in your refund. Study up on your student tax returns. This is not an exhaustive list. Be sure to examine every possibility in your chosen tax software, such as deaths in the family, new children, marriage, etc. If you're short on cash, make sure you give adequate time towards your student tax returns.